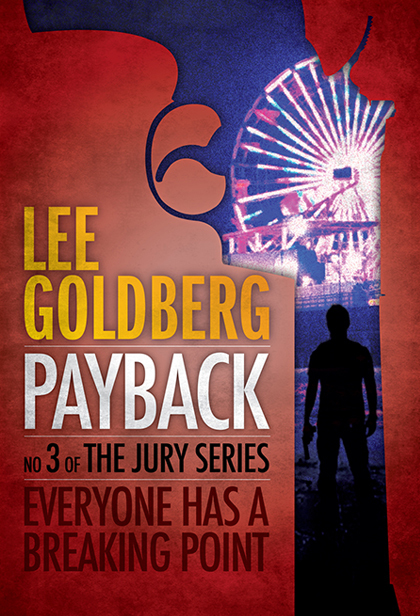 The third, red-hot book in the action-packed Jury Series saga. A sadist with a hunger for victims is stalking the streets of Los Angeles—leaving a trail of destruction which threatens to engulf the city in racial violence. And he’s calling himself…Mr. Jury. Now vigilante Brett Macklin, the real Mr. Jury, is hitting the killing ground with just seventy hours to hunt down the deadly impostor and clear his name. All he has to do is take on an army of fanatical white supremacists, stop a news-hungry reporter from digging too deep into his past, and save a tough black cop from being buried alive. Time and luck are running out.